12 registered (docock, dogmog, PaulJ, Bunny, Rog G, BobtheTrain, CJB, Hamwich, janc, Dave Turner, John Winn, Alistair), 122 Guests and 11 Spiders online. So, despite to an estimate between 150k and 200k eur it has been sold for 110k eur (then you need to put on top 15% auction taxes) and custom duties and VAT of "your" country in case you want to register the car outside CH. That is still a good price. <120km in as new condition. Hopefully with the bugs squished out as the warranty is up now! Nice to see them getting good interest. Any pictures of the vehicle itself !! In RM website and in their catalouge on line. Don't know if that includes buyers commission. Imported to Switzerland in 2017 so with a bit of luck already has EU VAT paid. 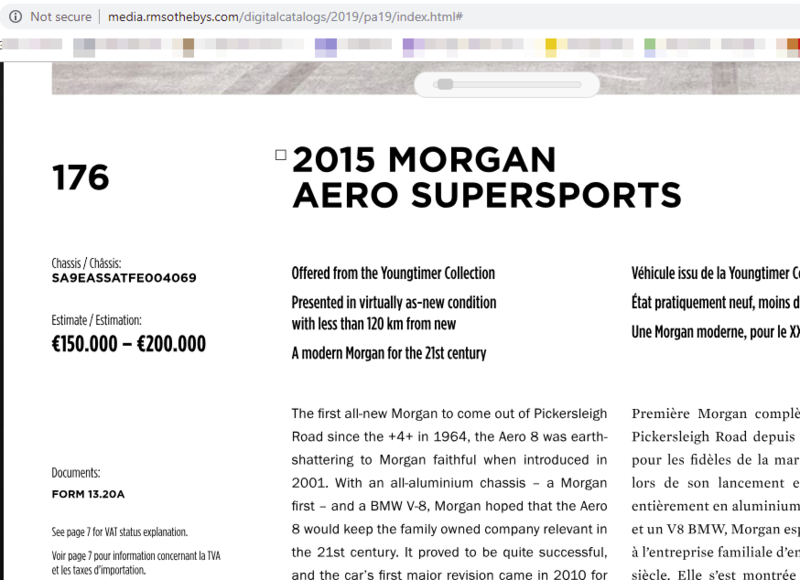 They do seem a bit tricky to sell, even the £87k one in the UK took about 6 months to sell, the £120K one at London Morgan has been there for about 9 months(?). 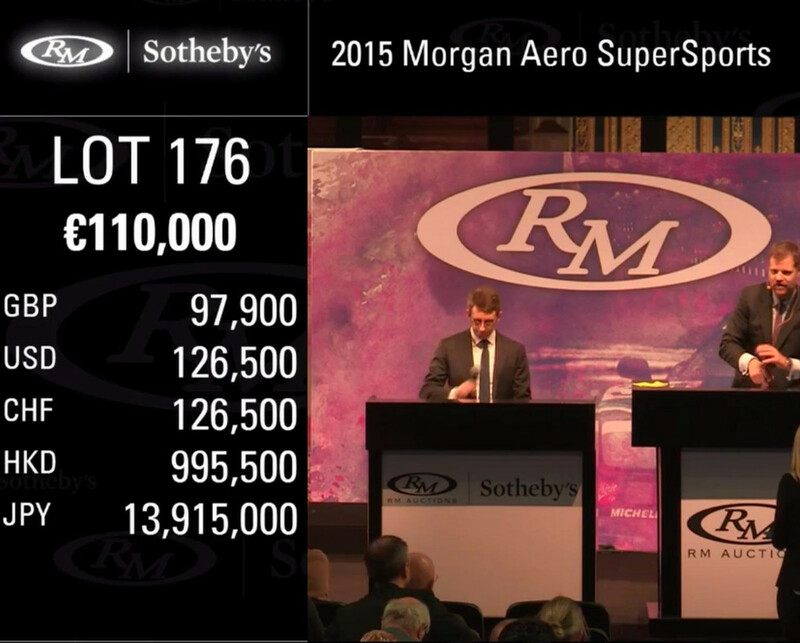 However the £100k Coupe last year sold pretty quickly. and yes it does look as if EU VAT needs to be paid. I wonder where it was between 2015 and 2017. Yesterday, it was displayed as sold on the screen. That's common, auction houses don't like to reveal which lots have failed to sell while the auction is still in progress because a string of unsold items tends to depress the bidding. Or the buyer may just have defaulted! So Ale72 your car has a twin sister yes !! There is already the one of dodgyken here in CH.